You can’t blame her; while most girls were primping for their proms, Yani was pounding away on the driving range. She started playing golf at the age of 6, and it didn’t take long for her to start winning. She won just about everything she entered as an amateur, winning 19 times. As a teenager, she won on the Asian tour and the Canadian tour. 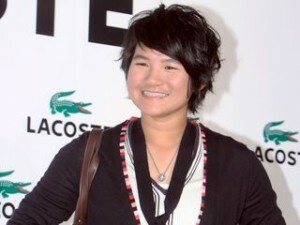 She qualified for the LPGA tour on her first try in 2008, placing 6th. Since then she’s been dominating. She is breaking records as if they were David Hasselhoff albums. In 2008, she won her first major, the LPGA Championship. She won it again this year. In 2009, at the age of 20, she carded a 62 while winning LPGA Corning Classic and became the youngest player to ever break the $2 million mark. In 2010, she won two more majors, The Kraft and The US Women’s Open. And last week with her successful defense of her British Open win, she became the youngest golfer to have five major victories under her belt. Who’s Tiger, anyway? We’ll be keeping a close eye on this young lady, and not just because she got her hair teased and her eyebrows waxed. She is the real deal. You can catch her back in action on the Golf Channel September 8-11th at the Walmart NW Arkansas Championship presented by P&G. Last year she trailed Michelle Wie by three strokes going into the final round but ran her down firing a 65. Just another day at the office. Hope you are enjoying your vacation, Yani -- enjoy the spa!